How's your day? Hope you guys are enjoying your holiday. I'm so excited to blog about my first experience event with YADAH. As you guys might know if you are following my activity on Instagram or other media platforms, I've attend an exclusive event for bloggers last month. So now, I want to introduce all my readers to the natural and authentic skin care for teens and young adults. 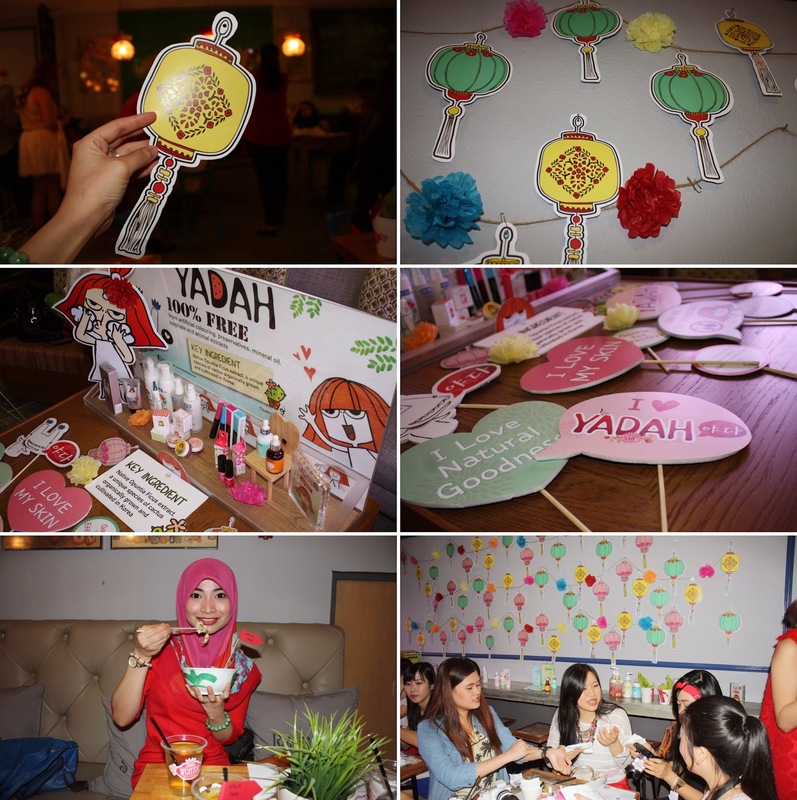 So early this month, in conjunction with 2014 new year and Chinese New Year, was my pleasure to get invited by The Butterfly Project Malaysia and YADAH to the YADAH Spring Festival Party 2014 to discover more about the natural goodness of YADAH Skincare and cosmetics just in time to look radiant and naturally beautiful for this Chinese New Year. 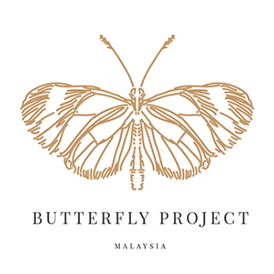 Thank you The Butterfly Project Malaysia and YADAH for this exclusive opportunity, only 50 bloggers got the privilege to join this event. I'am grateful that I'am one of them. 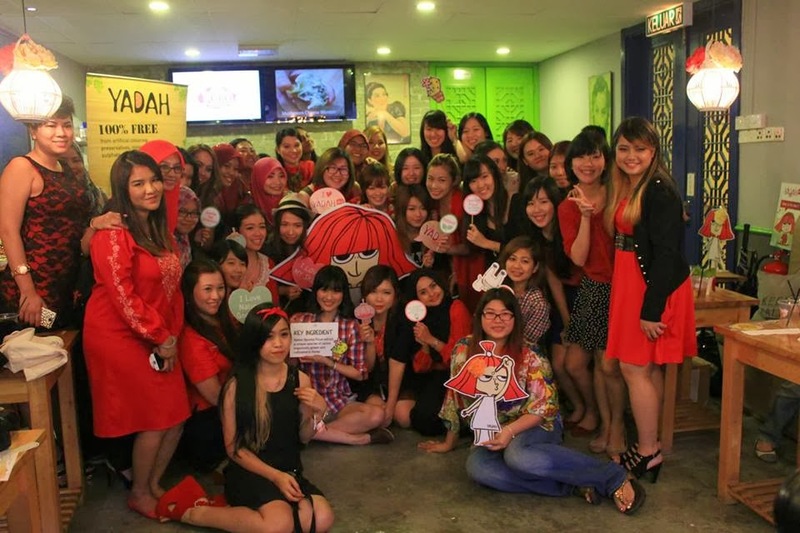 BIG hug for YADAH and The Butterfly Project Malaysia. 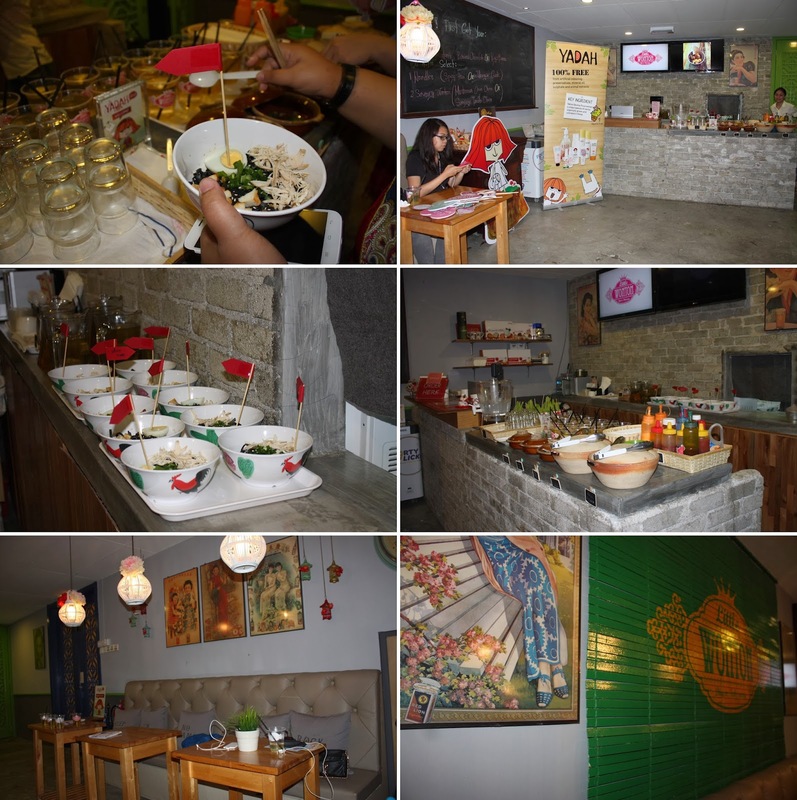 The party was held at Little wontan cafe. Located at Lorong Rahim Kajai 14, Taman Tun Dr. Ismail, Kuala Lumpur. Address : 20-1 Lorong Rahim Kajai 14, TTDI. Say Hello to YADAH's brand manager, Elaine. She was the speaker to introduced and explain detail about the range of product from YADAH. 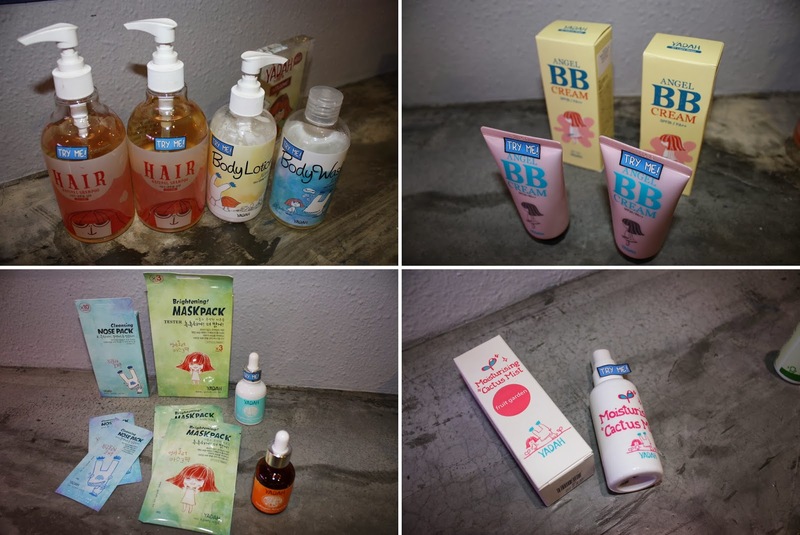 I guess everyone know YADAH, a range of natural and botanical skincare product originated from KOREA for teen and young adult. They are most suitable for young skin as this particular age range have more tender skin that is more vulnerable to harsh chemicals. If you notice from my previous post about YADAH, I think you should know all of their product is formulated with natural plant extracts like essential oil, floral water, barks, and traditional herbs. Works in perfect harmony with yet effective formulas are 100% free from artificial coloring, preservatives, mineral oil, sulphate and do not contain animal extracts of any kind *credit for all muslim users. 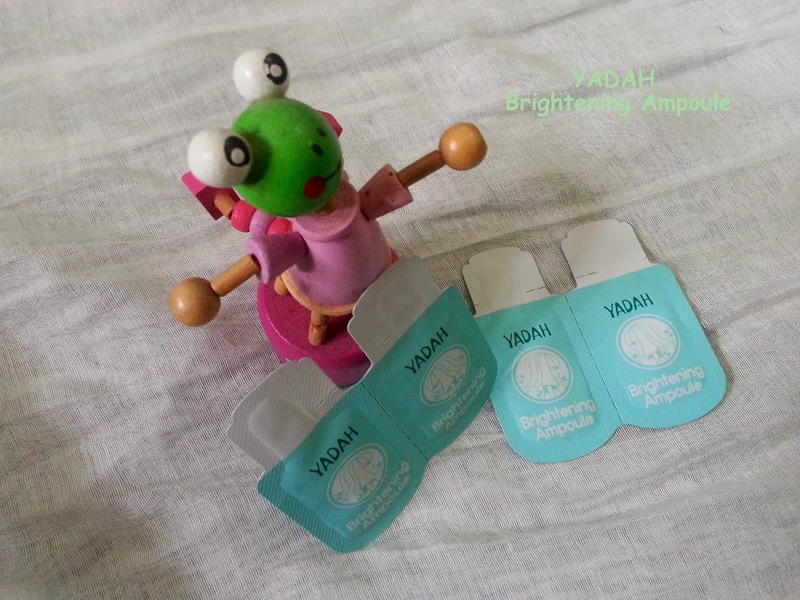 All YADAH product are certified by Korea FDA and all form hypoallergenic and non-comedogenic and some with Ecocert authentication. They are suitable for all skin type, even sensetive and troubled skin. Games of the day! Congratulation to the winner. Look at what I bring home, Lotsssss of staff! and here's my review. YADAH Anti-Trouble Bubble Cleanser has Formulated with a combination of high performance natural ingredients including aloe vera, camelia leaf, rosemary and sage for their curative propesties to promote cell turnover, reduce inflammation, neutralized free-radical and keep skin calm. 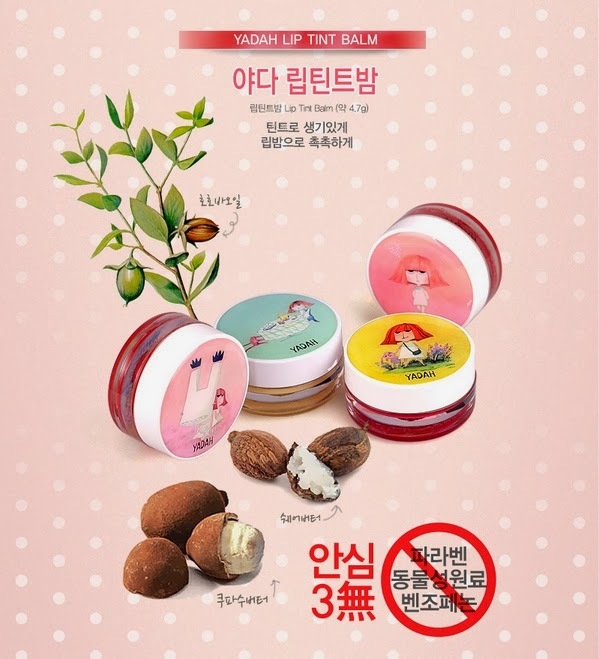 Suitable for oily, blemish-prone skin and sensitive skin. You just need to pump the ready rather up cleanser and gentle massage on your face. Luxurious high density foaming bubble texture delicately but effectively deep cleanses thoroughly into pores and i really like the result after used it. My skin feels comfortably refreshed, soft and moist after cleansing, never tight, pulled or parched. 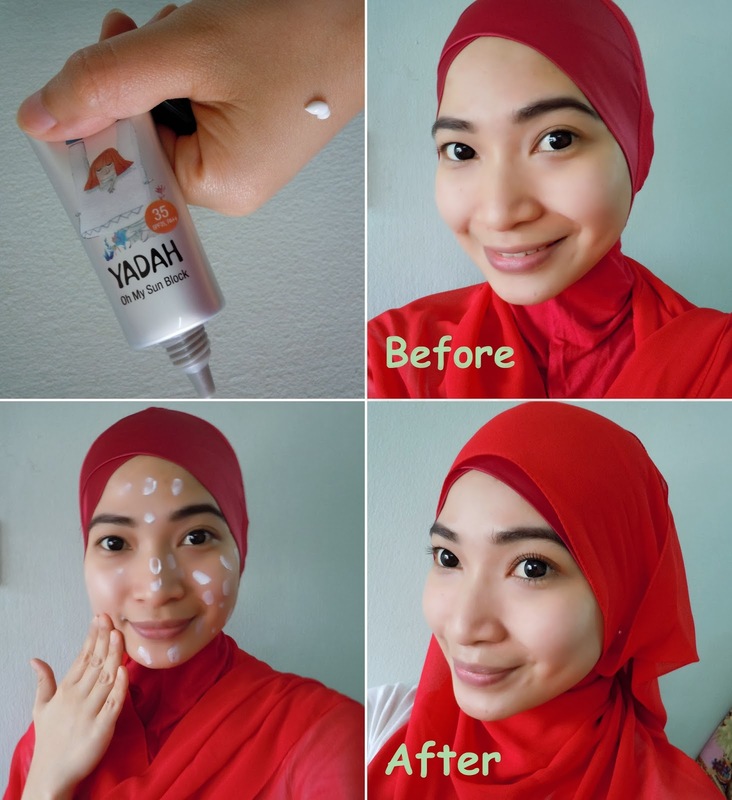 YADAH Oh My Sunblock has SPF 35, PA++ "high moisturizing UVA/UVB sun protector that helps to smooth and soften with lightweight matte finishing" It is "8 free" meaning that is free of parabens, triethanolamine, benzophenoma, sulfate surfactant, mineral oil, tar color, talc and propylene glycol. 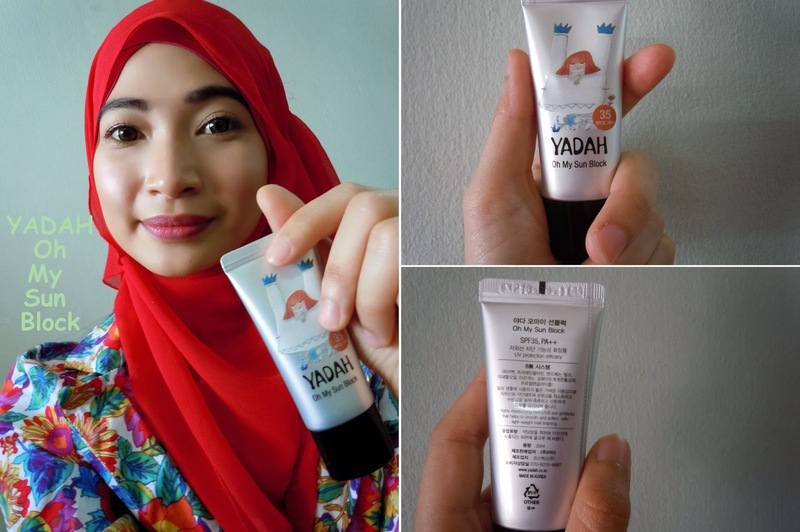 Something different about YADAH is that it is 100% made from natural ingredients and this time their sunblock is also 100% colorless and transparent *zero color pigments, so that means no makeup removal needed. YADAH Oh My Sun Block is also extremely lightweight texture in matte finish and feels like you are wearing nothing at all. i know, most people hate to apply sunblock because it is sticky and just so hard to absorb. However, the YADAH Oh My Sun Block does not leave our skin feeling uncomfortable and greasy. Very easy to spread and importantly, it does not leave a dry feel on my skin. 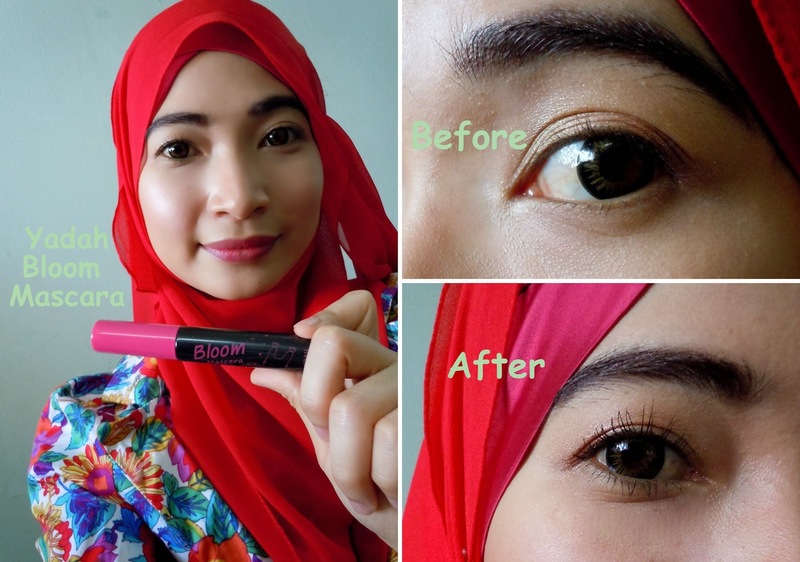 YADAH Highlash Mascara is for Lift, Curl, and Lengthen. 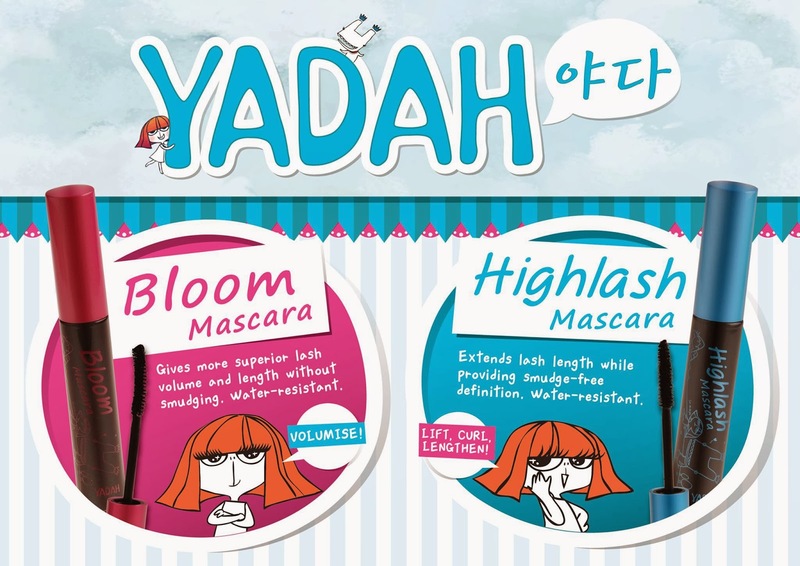 YADAH Bloom Mascara is water resistant but easy to remove without using remover. Safe for sensitive eyes and contact lenses wearers, 100% free from paraben, Talc, artificial fragrance, sulphate surfactant and formulated with unique opuntia ficus for long term lash care and vitality. See how it has made my lashed volumized. This mascara is endowed with an innovative non-clumping brush that is special designed to instantly separate and lift every single lashes. Trust me!! literally help you lashes to be lifted up and stays that way for a long time. sooooo beautiful! The brush is the key to the great separation of lashes, after trying it for the first time, it's defenitely my go to mascara for quick and easy eye-opening lashes. It separates the lashes wonderfully and volumized them simultaneously. Two way to tint! 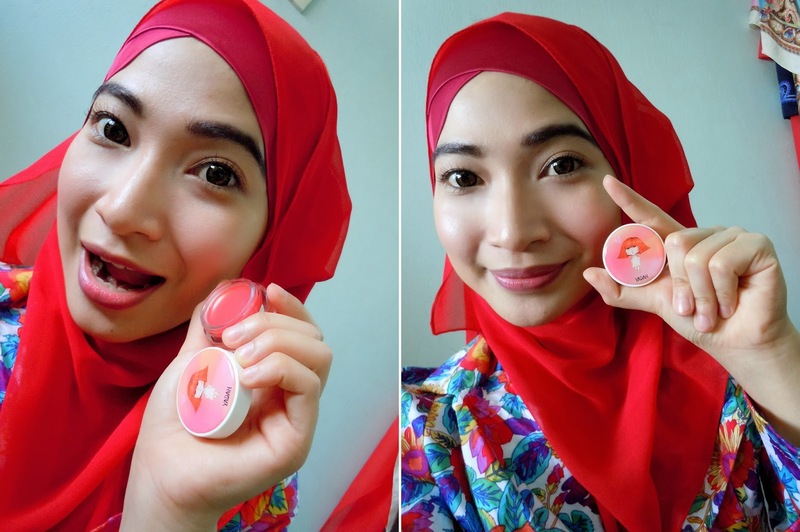 you can use for lips or cheeks for blush tint. 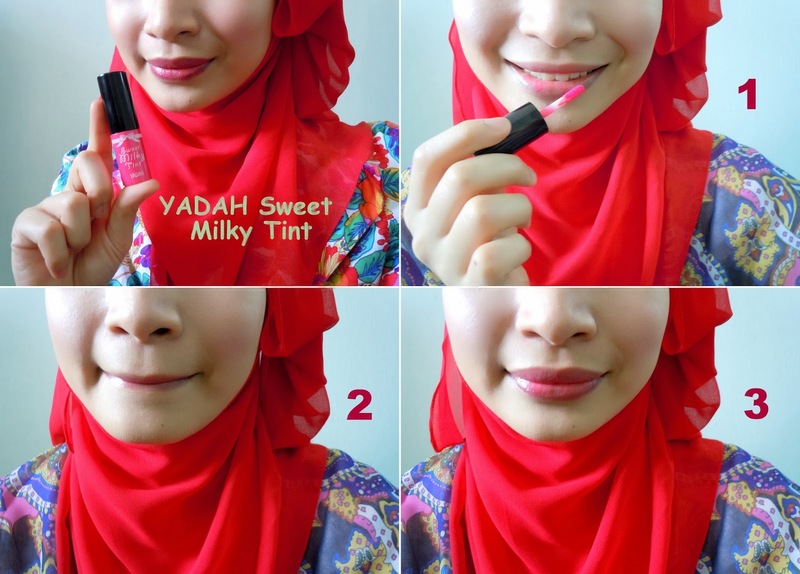 These milky texture cream tint is amazingly pigmented with even just a tiny bit of product. If you apply at your cheek, it may look intimidating at first but after blend, blend, blend and blend. It's not too much at all, it just makes my faces look freaking bright and happy. This versatile and intuitive tint features duo functionally for the lips and the cheeks. With the same bottle, you can pamper your cheeks with a sweet pink flush and paint your lips for a contoured. It's brilliant lightweight formula makes layering and blending of tint a stroke of pure genius. On a casual day out, opt for thin layering for a natural look or built up to a deeper hue with extra layers whenever you feel adventurous to flaunt that pout or hot flush. Get your pout in its glossy prime to enhance the appearance of lips offering a more natural alternative to traditional lipsticks leaving them moisturised and supple in a shiny tinted finish. Unique formulated with a melting gel complex ingredient which dissolves under human body temperature to keep lips naturally soft and hydrates. The amazing plat extracts filled formula with potent antioxidant and vitamins help reduce dark sport and pigmentation while preventing them from reappearing. Skin stays naturally clear, bright and luminous. 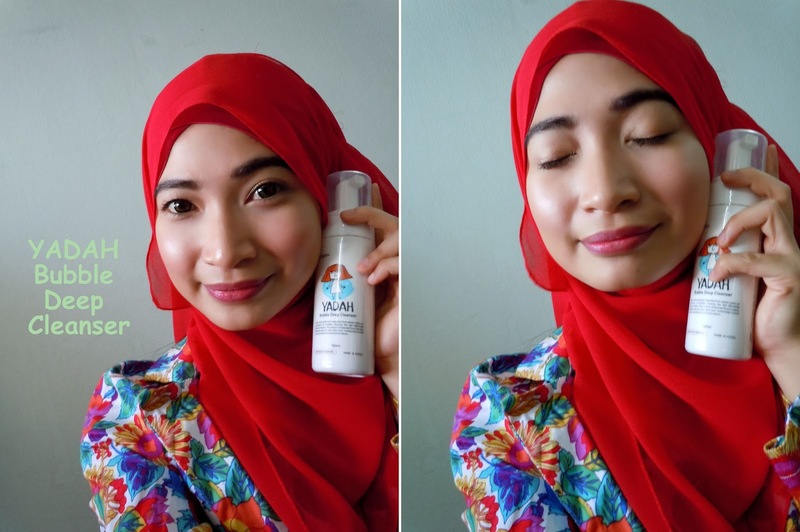 The clear serum easily absorb into skin and not oily at all. I personally have used a sample pack of it. Beside of its fragrant smell, it also help to hydrates and keep my skin moist! love it. from left, Ciklily, Anis sempoi, your truly, Mieza and Innanie. 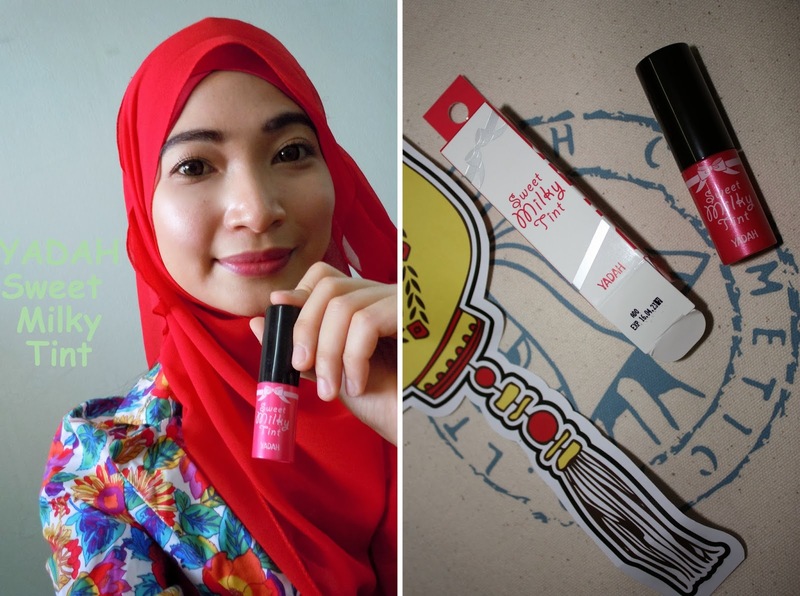 Great post, Aidazura! By the way, you have really, really gorgeous skin!